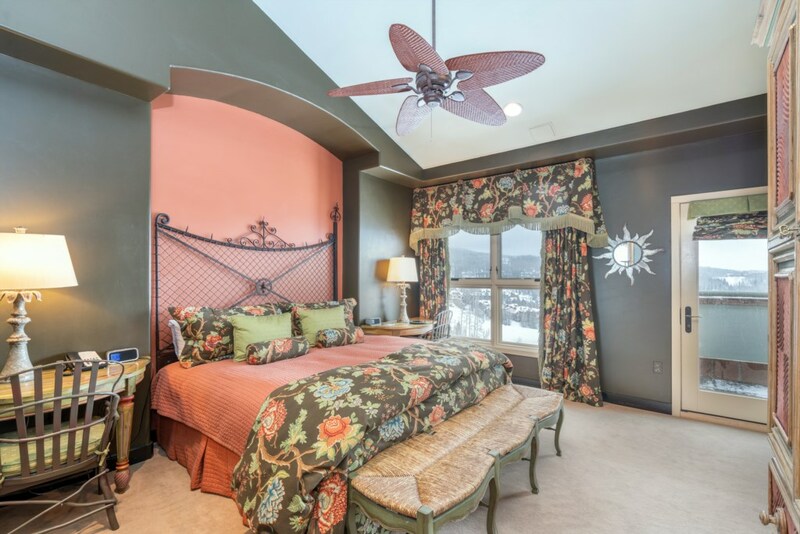 The Penthouses at the Peaks are luxurious private residences located inside The Peaks Resort in the Telluride Mountain Village. 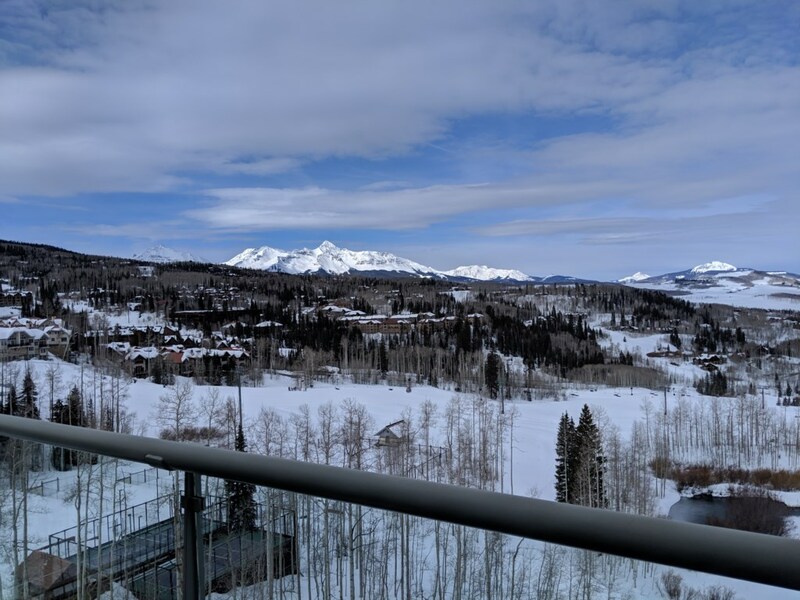 This spectacular 5-bedroom/5 bath unit offers spacious living areas, luxurious amenities, andvamazing views. 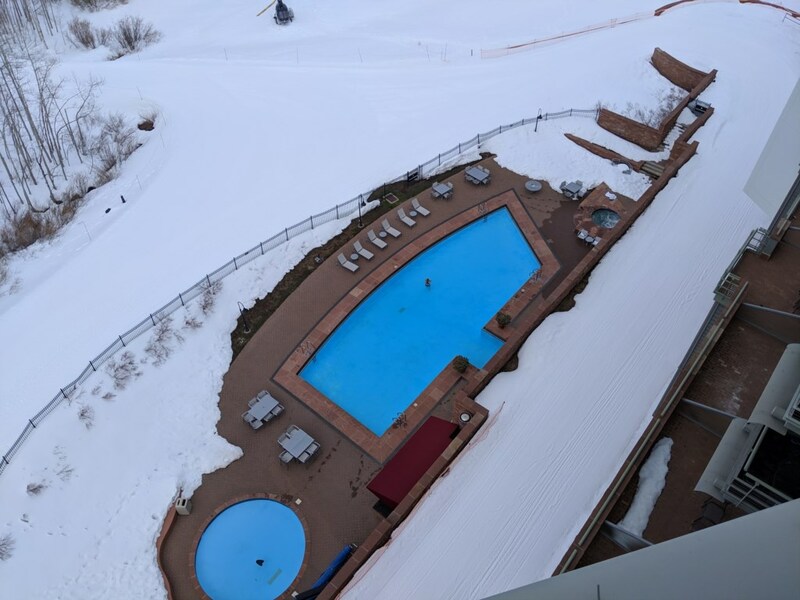 With all the resort amenities, including amazing spa and year round outdoor pool - only a short elevator ride away, you get the best of both worlds: luxurious private home and all the "extras" of a resort experience. Sleeping up to 13 comfortably, this is the perfect option for large families or families traveling together, couples and groups of friends, and those looking to spare no detail and enjoy lavish comforts of home while on your ski holiday! 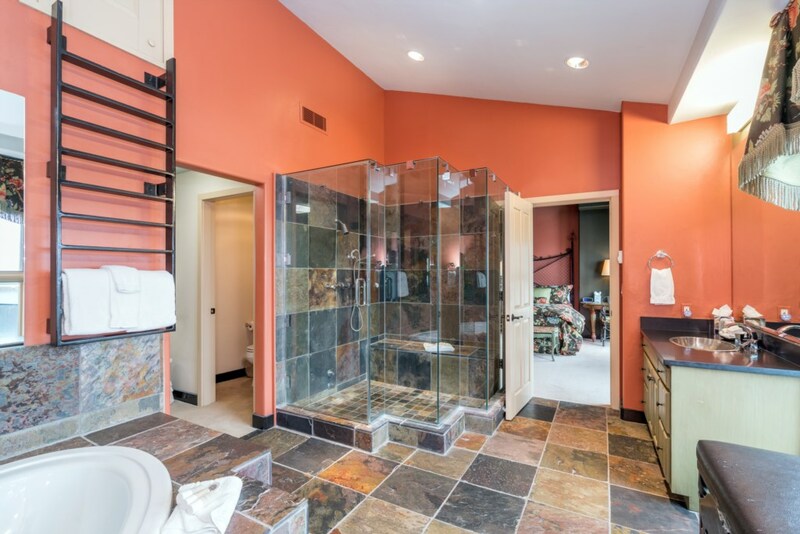 As you enter the elegant foyer, you are welcomed into a warm and gracious residence. 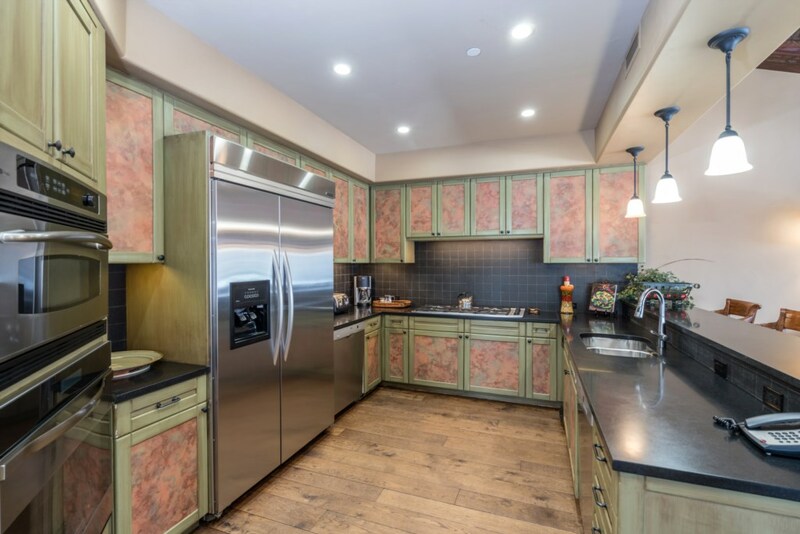 To the left is the large gourmet kitchen fully equipped with top of the line appliances including double ovens, sub-zero fridge, 8 burner gas range, 2 dishwashers, and ample cook and dishware to prepare meals and entertain in the home. 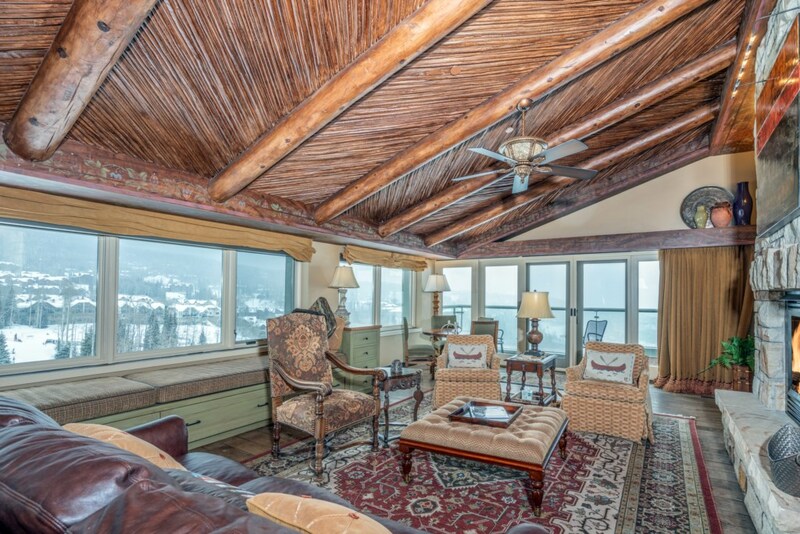 The great room is a large open concept space anchored by 2 full walls of windows, including floor to ceiling views and a large balcony on one side, treating you to stunning vistas of the Mount Wilson Range, Palmyra Peaks, spectacular sunsets, and Mountain Village from every angle of the room. 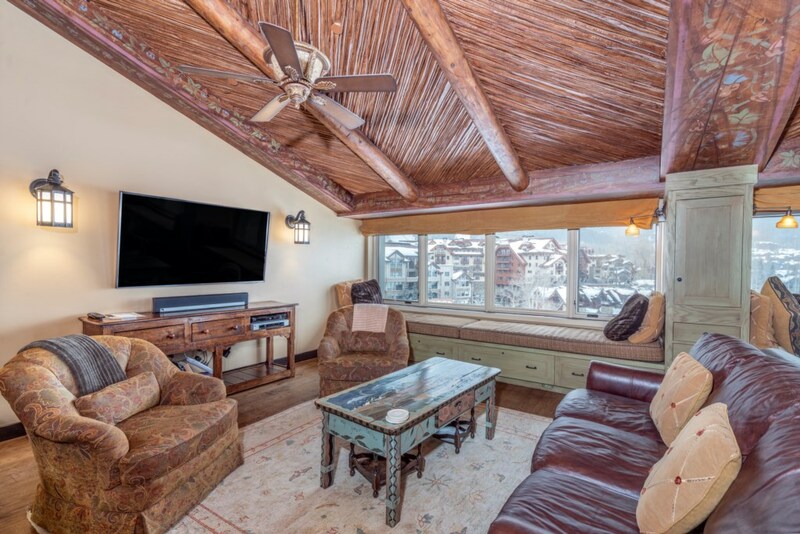 The great room includes 2 seating areas, one with large flat screen TV and the other focused around the large stone fireplace.Window seats complete the living area and are a perfect place to enjoy the amazing views with a cup of coffee or glass of wine. 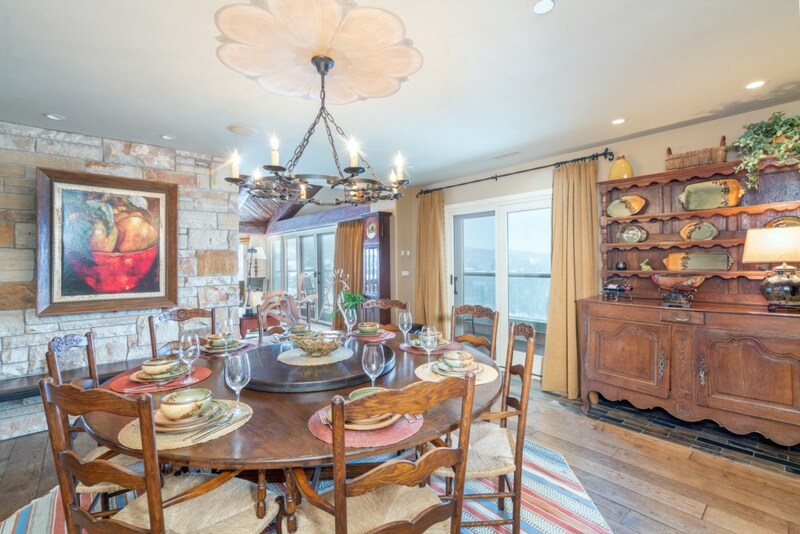 The dining room is spacious, with a wonderful 8-person round dining table perfect for entertaining or enjoying a family meal. 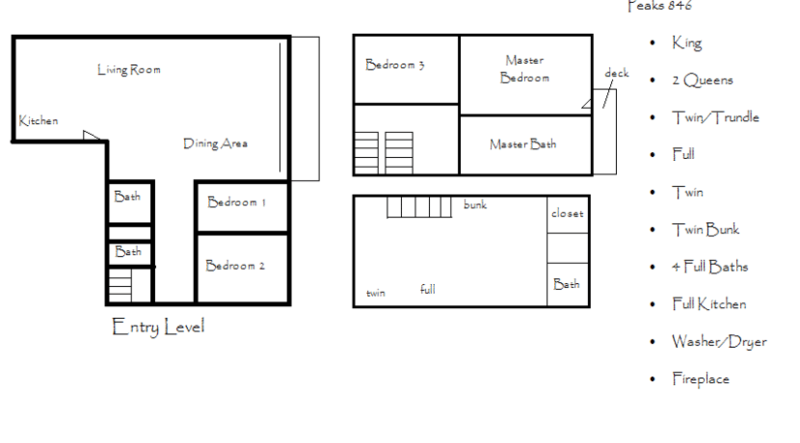 The first level of the residence also features two bedrooms and three full bathrooms. 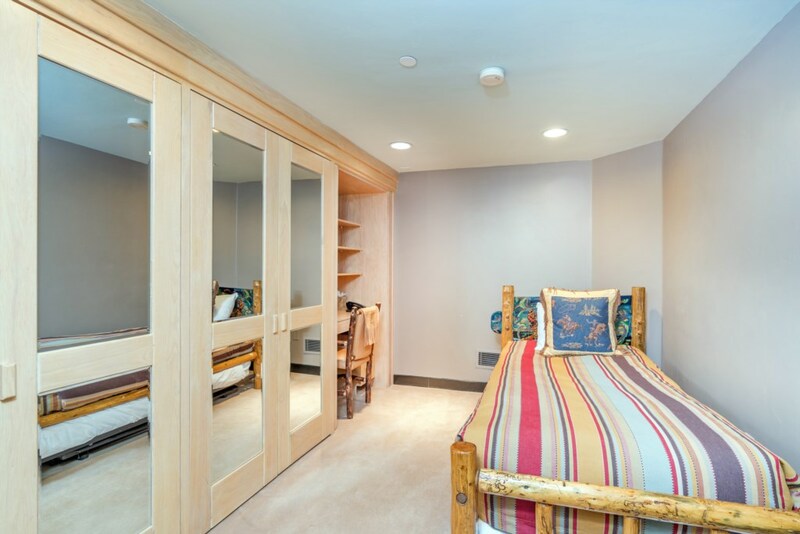 The first bedroom has a queen bed, flat screen TV, and private balcony. 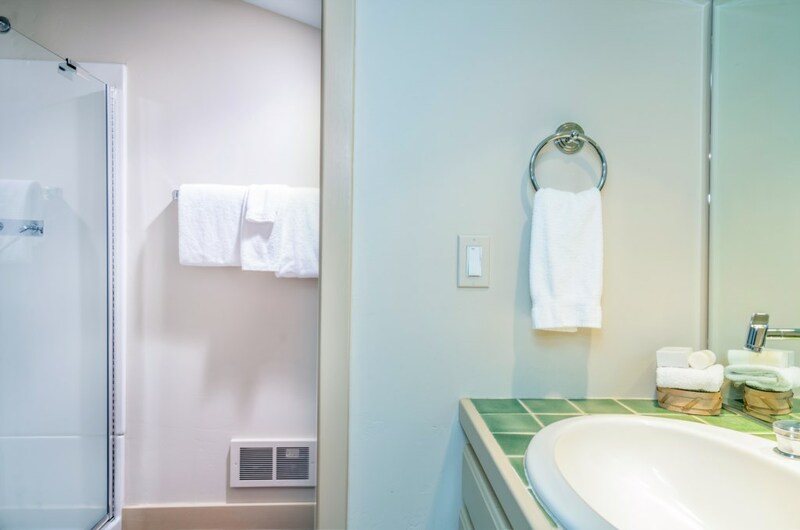 A full bath is located across the hall. 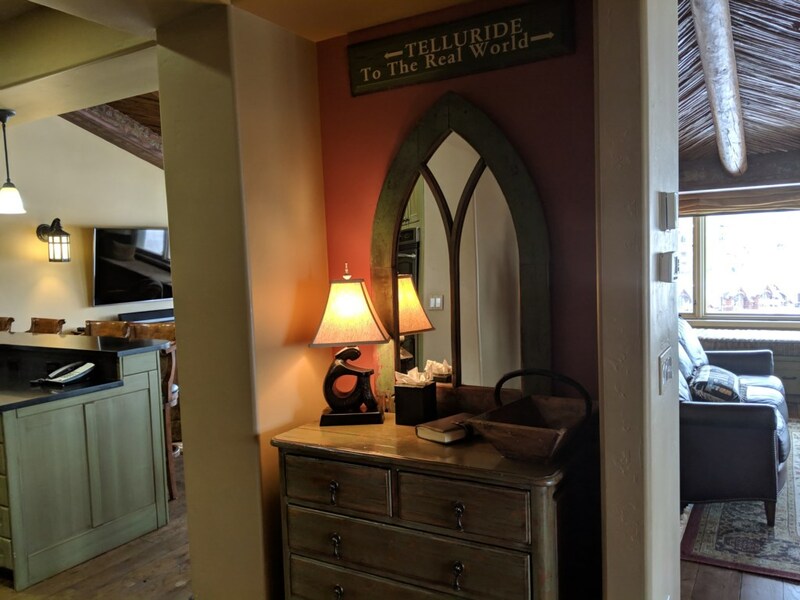 The second bedroom on this level is the guest master suite and has a queen bed,flat screen TV, large closet, and attached full bath. 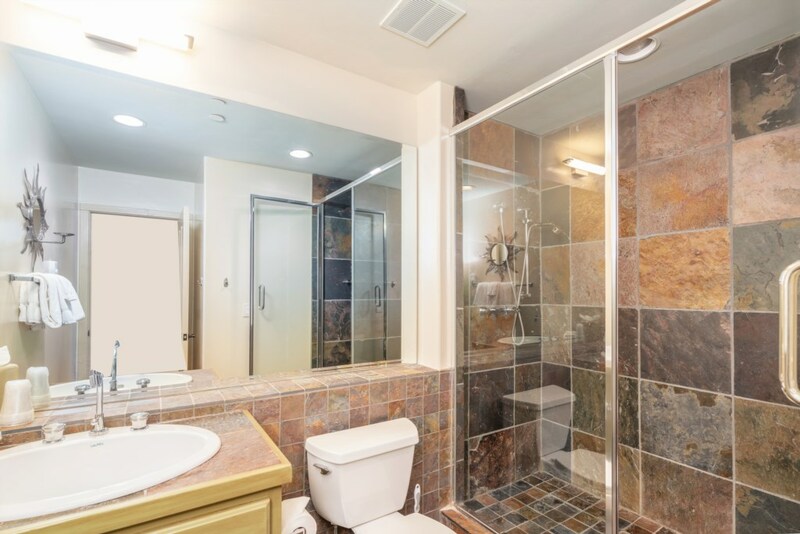 There is an additional full bath and laundry room on this level of the home as well. 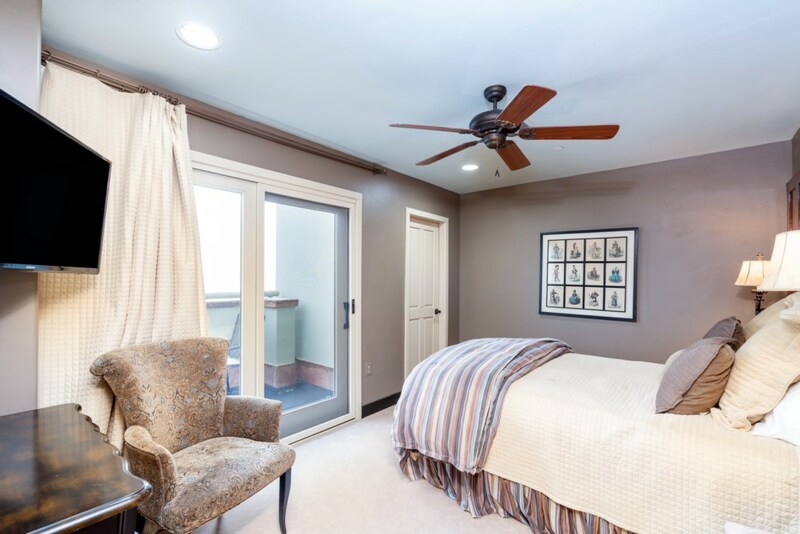 The second level of the home includes the master suite and 4th bedroom. 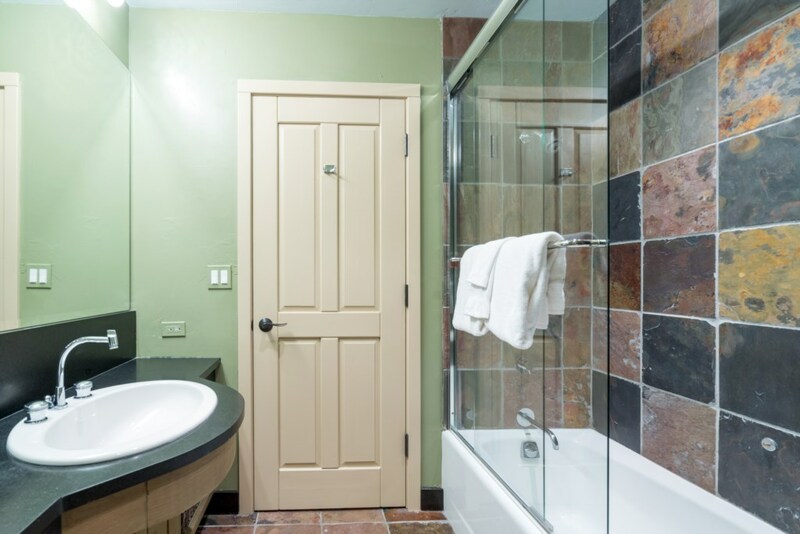 The master suite offers a plush king bed, incredible views and private balcony, flat screen TV, walk-in closet, and large luxurious bathroom. 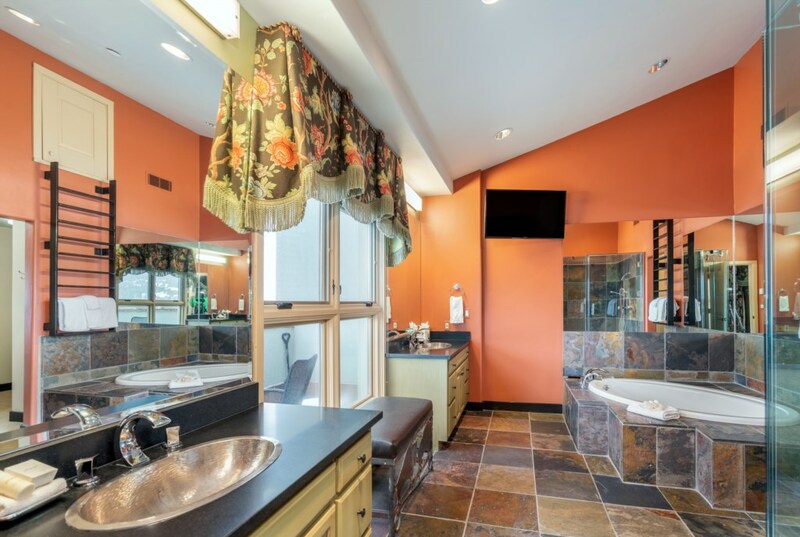 The master bath has a large jetted soaking tub, separate large steam shower, TV, double vanities, and large walk-in closet. 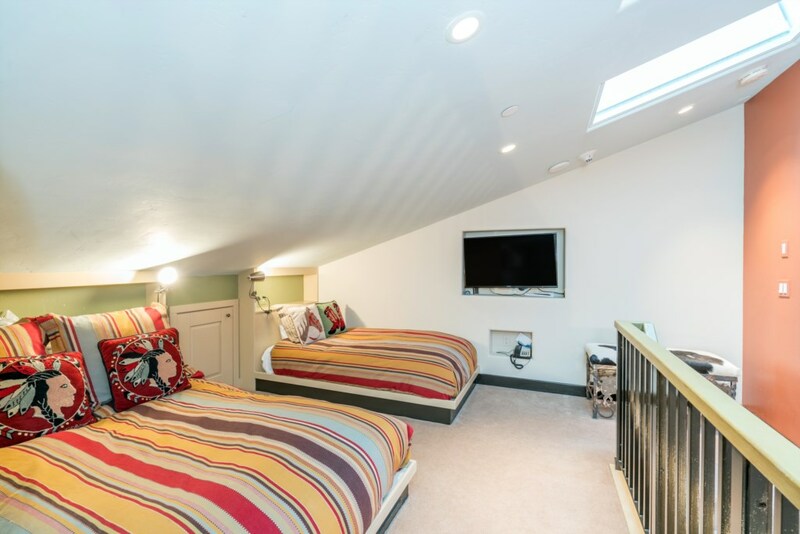 Also on the second level is the 4th bedroom offering a twin bed with trundle and flat screen TV. 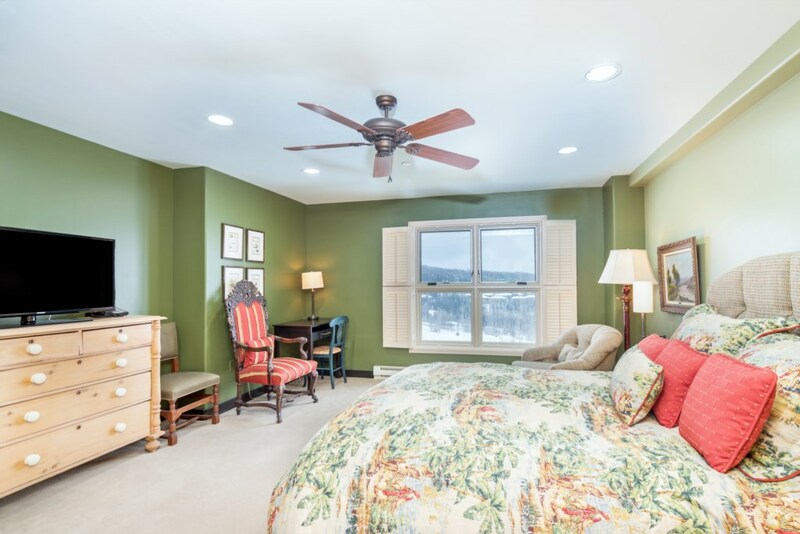 This bedroom would use the extra full bath on the ground floor. 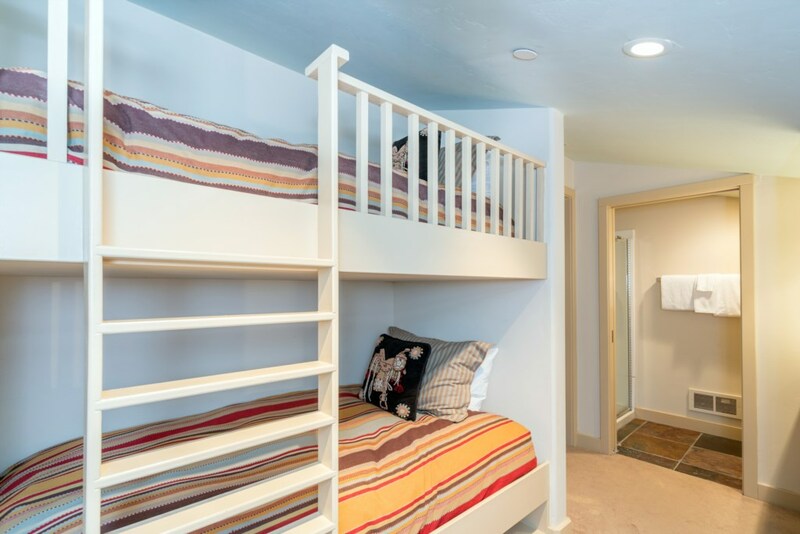 The third level of the penthouse is the area referred to by the owner as the “treehouse” and includes twin bed, double bed, and two oversized built-in twin bunk beds. 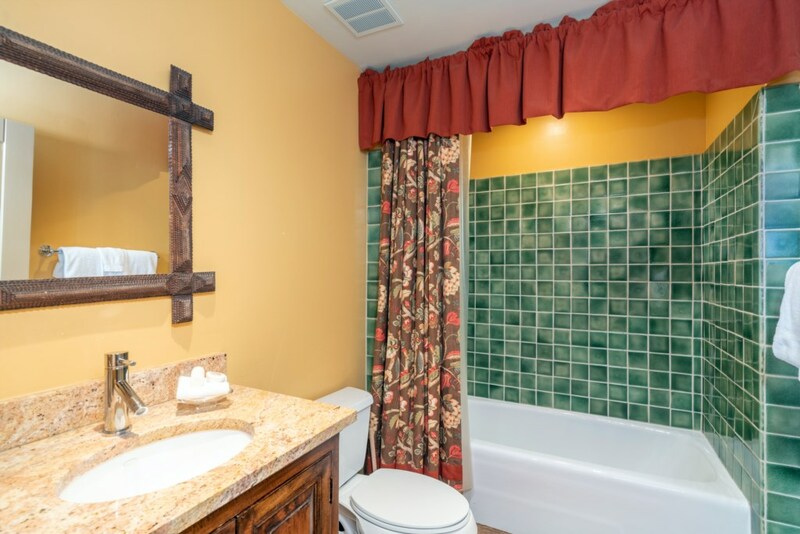 A flat screen TV and attached full bath finish off this perfect kids or "singles" room. 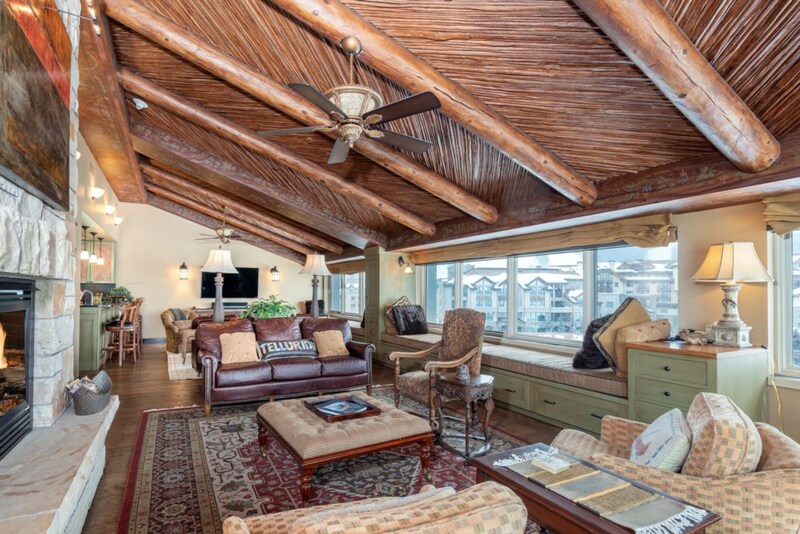 This gorgeous penthouse is perfect for a larger family, families traveling together, a reunion, a special event, or a get-a-way for friends! This is the most amazing unit. 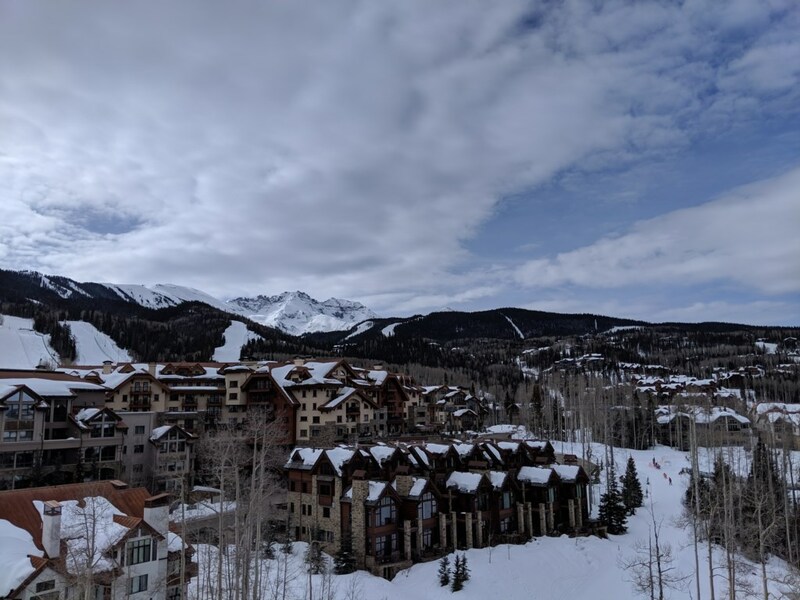 We have been staying here for the last 3 years in January and it is the best. 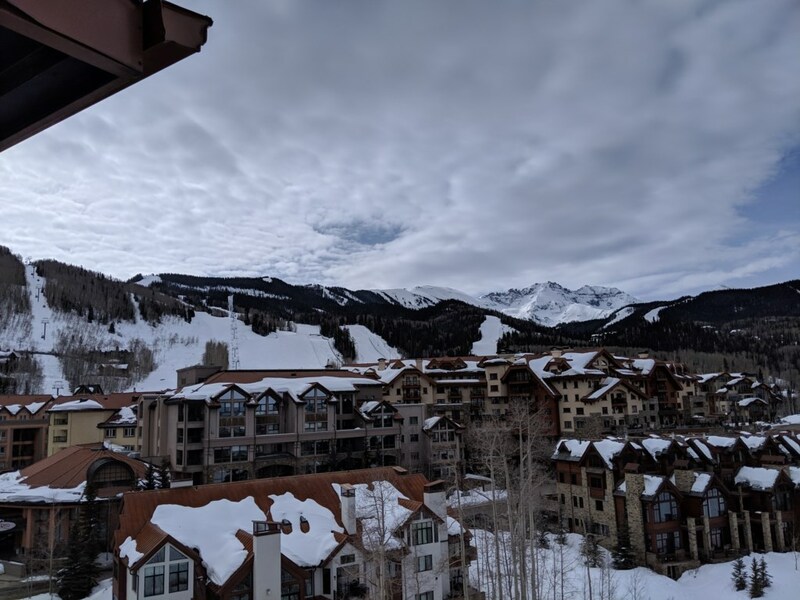 Tons of space, great views, and the Peaks amenities are great.